I'm nearing my 10 000 visit milestone (well it's a milestone for me in any case!) here on Life on a Cupcake, and I've decided to give away a little something to celebrate once I've reached it. I'll tell you more about it when we get there! In the meantime, I've never really shared all my blogs and websites with you in one post before, so I've decided to do just that today! Please feel free to visit and leave comments, I always love to hear from you all! Most of you know that I'm the owner of Little Canvas; where it's all about miniatures. 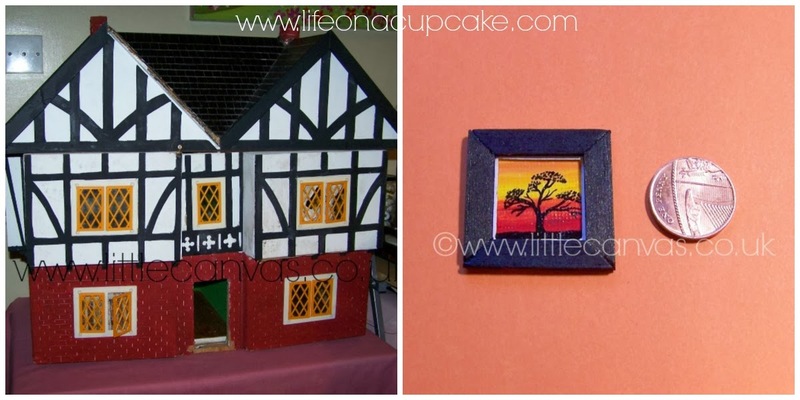 On the website, www.littlecanvas.co.uk, I sell my miniature art, which range from tiny dolls house size to slightly larger artwork and ACEO's. 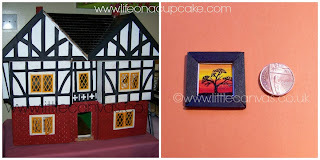 On the blog, www.littlecanvasart.blogspot.co.uk, I talk about my artwork, miniatures and dolls houses in general. I bought my first dolls house - Mock Tudor - a while ago, so there will be a lot of photos on my progress with it in the future; as I go through the process of restoring and revamping it, as well as decorating and making furniture and accessories. 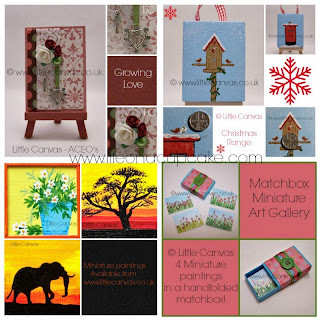 And then there's the Little Canvas Facebook page. My Facebook fans are THE best in the world! I have a lovely community of virtual friends, where we have lots of fun and chit chats and hot chocolate to get us through the day! I get bored very easily. So to prevent that from happening, I do all sorts of other fun and creative things. Like creating gorgeous boxes. On my other website, www.prettylittleboxes.co.uk, I sell all kinds of gift boxes and gift bags, as well as decorated/altered boxes and containers that can be used to store all your precious trinkets and mementoes. Now, all my family and friends know I have a thing for shoes. 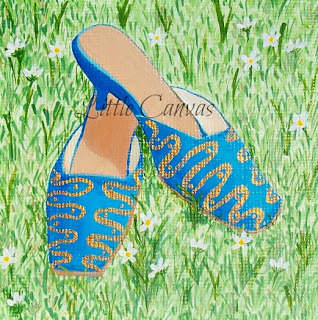 So, to indulge in my love of shoes, without it costing me anything, I created a blog; www.formyloveofshoes.blogspot.co.uk. Here it's all about the shoes! I don't talk much, I just share photos and links of gorgeous, funky, drool worthy and fabulous shoes. Anything from paintings to shoes in the shops, to amazing up-cycled shoes. I hope you have fun visiting all my blogs and websites! See you soon!